One of the initial sequences in Happy Wedding is set in a bar. 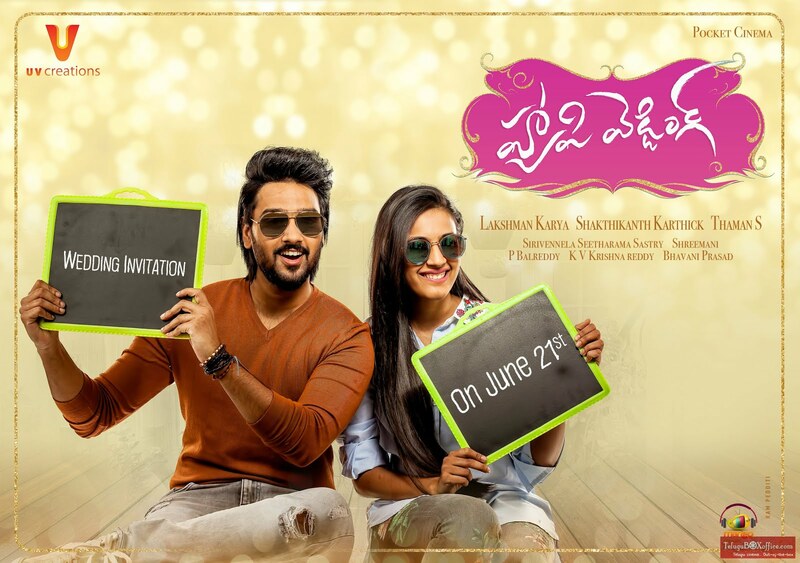 Two girls have a shot at vodka, their boyfriends joke ‘I thought India was progressing, albeit this way.’ Happy Wedding is about a guy coming to terms with a 20 something girl Akshara (Niharika Konidela) and her confusions in choosing her partner (read getting over her ex), but it comes across as if the guy (Anand played by Sumanth Ashwin) is doing her a favour. The film explores her conflicts. She’s termed a bad decision maker. As you watch it, you wonder if that was a hint of the actor’s decision in accepting a film as mediocre as this. Akshara and Anand’s progressing relationship is enough to convince their parents of a marriage proposal. The families remain ignorant of the girl’s inconsistencies. For a while, you sympathise with Akshara’s worries too, of the freedom that might be curtailed post marriage, dealing with an uncertain equation with the in-laws and the trust-factor with her partner. Coming out of an abusive relationship and the return of her ex only surmounts Akshara’s decision making skills. Anand tries to be the rock here, giving her space to conquer these ambiguities. Men doing their bit in the kitchen, women having a ball at parties are portrayed as an adventurous lot in the film. For a film that respects the choice of a woman, the dialogues feel more patriarchal. The relationship between a wife and husband is compared to whiskey and a soda, needle and a thread. A grandma has a loose tongue, but this is the filmmaker (Lakshman Karya)’s definition of a ‘cool granny’. Just because you see joint families and a wedding, people indulge in endless antaksharis and other indoor games. Odd brand placements for jewellery and clothing lines hamper the film’s flow. The real issue of Happy Wedding is diluted rather easily. Niharika Konidela seems the only actor who takes her part seriously, submitting herself to the indecisive nature of Akshara, a mature act after a not-so-impressive Oka Manasu. The once-dependable Sumanth Ashwin is barely a match for her abilities, the actor comes a cropper at the film’s most poignant sequences. Umpteen dialogues are devoted to describe him as the ‘Mr Perfect’ from all dimensions, his portrayal though doesn’t match up to the verbal grandiosity. Naresh, Pavithra Lokesh, Murali Sharma, Thulasi, Annapurna only get staple-joint family characters. Shakthikanth Karthick doles out impressive tunes, yet there aren’t many potent situations to make an impact.